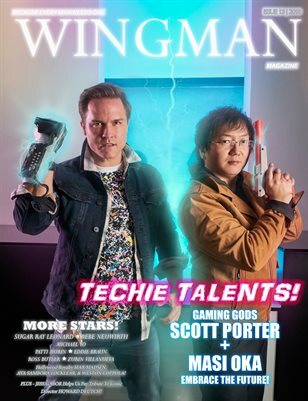 During the winter season you can count on three things: Holidays, cold weather and of course the Winter issue of WINGMAN! It may be cold out north of the Mason-Dixon line, but this issue of WINGMAN MAGAZINE will warm you right up. Whether you love, technology, gaming, nostalgia or Hollywood royalty, this issue will keep you coming back for more.